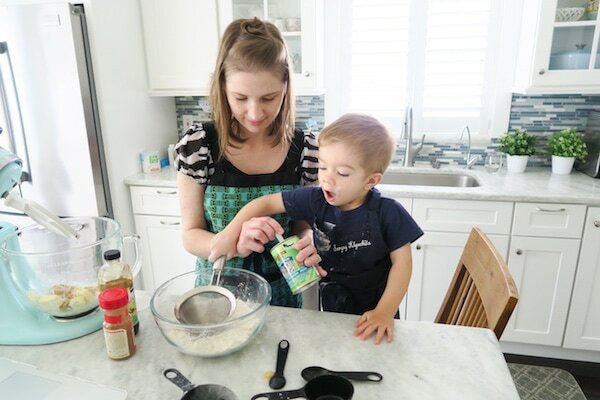 Cooking with children may look cute and adorable, but in reality, it can sometimes end up being stressful for both you and your child. I love spending time with my children; it gives me so much pleasure to be with them, to watch them learn new things, to see them having fun. I genuinely think that they are the cutest, smartest and most bright little boys that were ever born on this earth; I am their Mama after all:). However, if you spend any time with children, you know that sometimes they can also push all your buttons, they try your patience and can drive you crazy too. Things can get tense and exasperating, especially when you are trying to get things done. The kitchen can quickly get hot – all due to your rising temper, not the oven or stove. 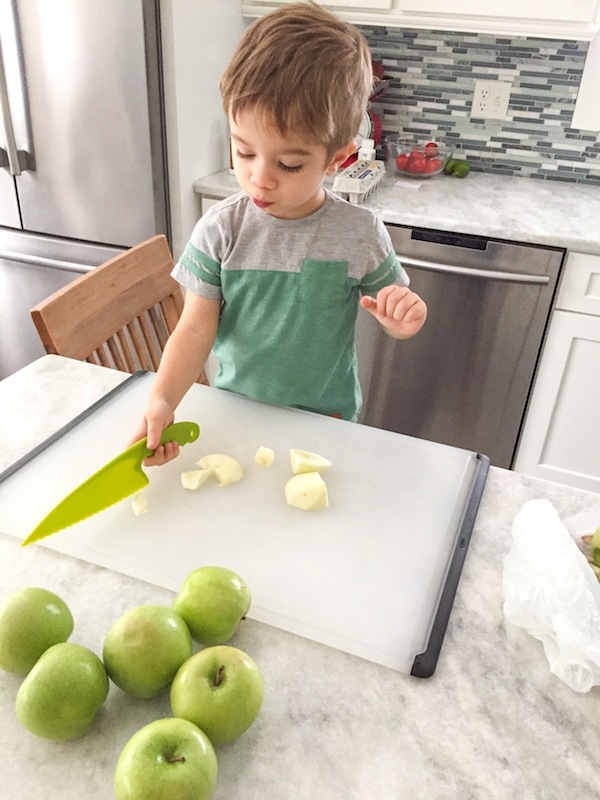 Here are a few things that I try to keep in mind to have a good experience when I am sharing time in the kitchen with my little guys. 1. Have a future-minded thought process. 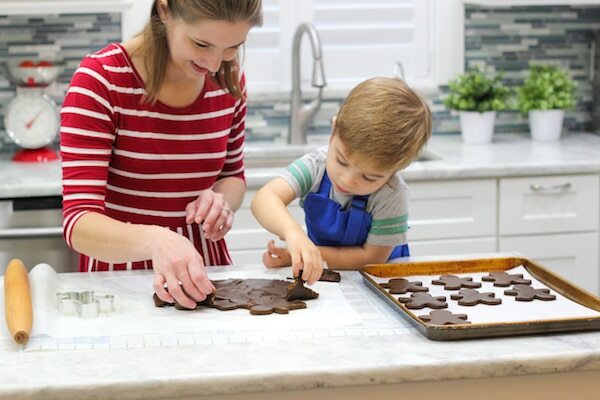 Cooking with your children is not just a game to pass the time today. They will need this skill when they are adults; even if they will never be gourmet chefs, every human being needs to eat. 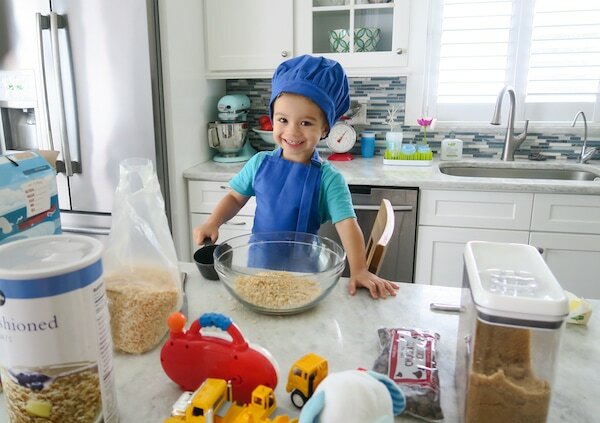 You will set them up for success if you teach them the basics of cooking, cleaning, washing dishes, how to meal plan, grocery shop, and budget. They will be so much more ahead of the game if they don’t have to figure this all out when they are out on their own as adults. 2. Only cook with your children if you are in a decently good mood. For me, this is the #1 thing to take into account. There is a good possibility that cooking with kids will put you in a bad mood, so don’t start with one, ha ha. Just kidding, but it’s also kind of true. If you start with a good mood, you’re more likely to keep a positive attitude and not get mad about insignificant things because you’re grouchy, to begin with. This also applies to your children – are they in a good mood? If my kids are cranky, I always ask myself 4 things – are they tired, are they hungry, do they need to be changed or do they need attention? Make sure their needs are met and you will be off to a good start. 3. Pick a time when you’re not in a hurry. Nothing will make you lose your temper and be seriously impatient than being in a rush. If I’m in a rush, I give Nathaniel or Josh something else to do to keep them occupied while I finish up what I’m doing. 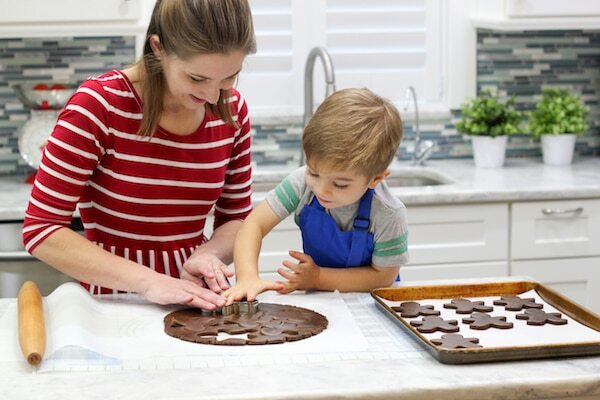 Plus, we all know that when children are “helping” in the kitchen, they are actually a big hindrance and will slow the process down a lot, so it’s SO much more efficient if you can focus and get it done yourself. Right now my boys are still very small (1 and 3) and they think it’s so much fun to help in the kitchen. It’s more appealing to them than playing with toys! I want to use this time to get them interested in helping while they WANT to do it. Obviously, the things I let them do are very small, simple things, but the older they get, the more I will let them do. 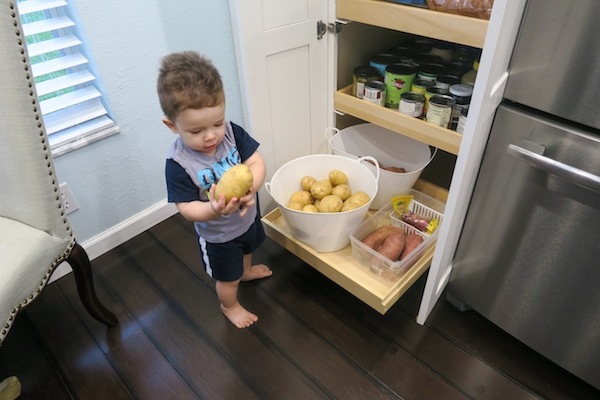 Right now, Josh is only 1, but he already gets so excited when I tell him to bring me a potato. 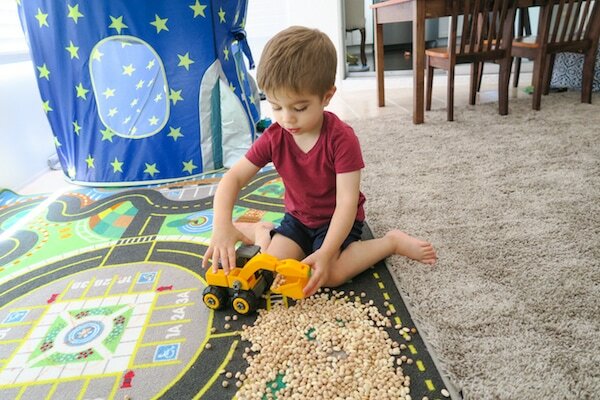 He is so proud of himself when he toddles over and hands it to me and when I praise him when he stacks the cans in the pantry after a grocery trip. I grew up at my Mom’s elbow in the kitchen from as early as I can remember. She let me get my hands dirty, try all the things she was doing that looked so exciting to me. I think it really peaked my interest in cooking because it was encouraged by my parents. It definitely paid off for them because I was cooking for our family of 8 from a very early age. Children, especially when they are really young, don’t have the attention span to stick through a more difficult meal preparation. Choose more time-consuming recipes when you’re cooking by yourself. They will be more engaged and in a good mood if it stays fun for them. Which leads me to the next point. 6. Make it lighthearted and fun. Don’t make a big deal about spills or mistakes. Sing, dance and have a playful attitude. Turn on some happy, upbeat music. Smile, laugh, let them lick the spoon and try different ingredients. Don’t be too uptight and freak out if they do something wrong. Laugh and say that “it’s ok, it happens”. 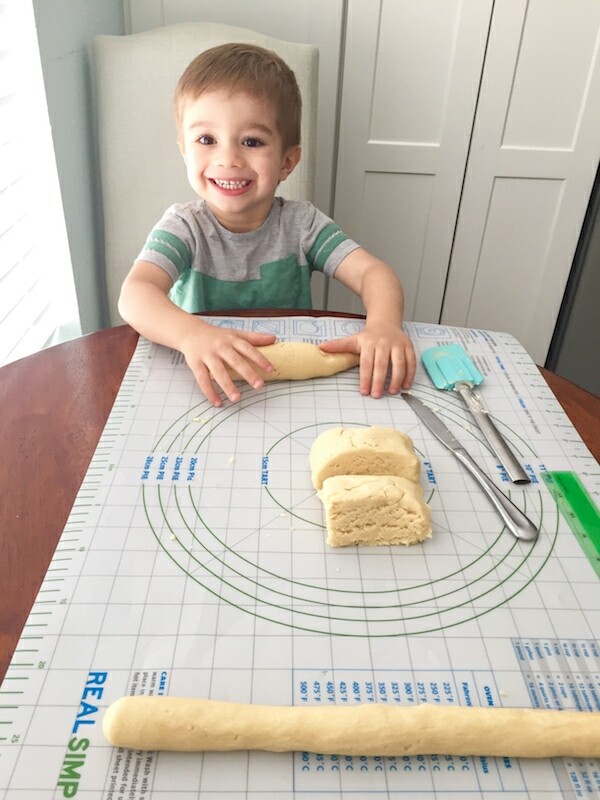 If Nathaniel spills something, drops something or whatever, he gets really upset about it, because he’s a little perfectionist too, but I’m teaching him by wiping it up and saying “Ничего страшного. Так бывает.” (In Russian) It’s ok. It happens. We’ll clean it up.” – all the while smiling. He is learning to smile back because he knows that Mom isn’t going to blow up if everything isn’t perfect. 7. Give lots of praise and encouragement. Like I mentioned earlier, both my Mom and Dad were very encouraging with my kitchen involvement. They were so proud of me when I baked a cake or made soup from scratch. I heard them bragging about me to others all the time and all the encouragement they gave me really inspired me to keep trying new recipes and to keep cooking for our family. Children thrive on encouragement. They are so proud of themselves if they see that you are too. Nothing makes them happier than if you are thrilled with them. If you need to get them out of the way so you can get the work done, distract them. 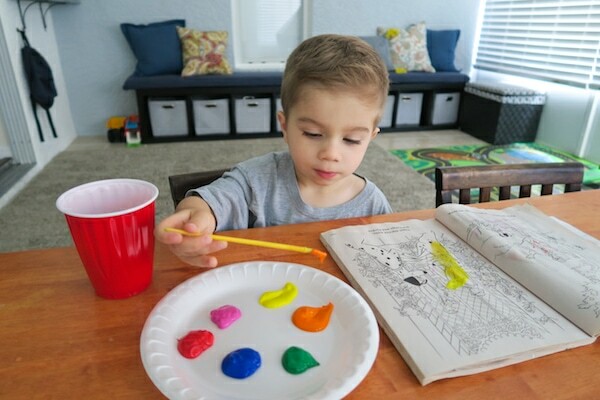 Give them something fun to do that they usually don’t get to do, like painting, play dough, a toy that they only play with when you’re cooking. Another great option is to give them a snack or turn on their favorite tv show or movie. Even though it’s a lot easier to cook without them and there is far less mess when you work efficiently by yourself, keep including them in the kitchen with you. Be the adult. Be patient, be understanding and model good behavior, a positive attitude and good cooking skills to your children. Someday it really will pay off and in the meantime, hopefully, some of these tips will help make it more enjoyable and create a bonding experience that will be another way for you to get close to your children. Thank you for all the wonderful tips! 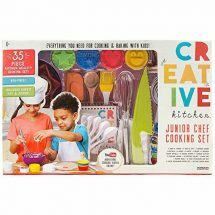 I also have a daughter who’s 3 and a son who’s 1 and my daughter is especially interested in helping me cook. Your tips were very encouraging to continue on with it! I’m so happy to hear that, Vita. 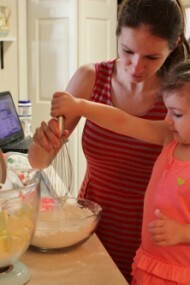 That’s so awesome that your daughter wants to help you cook:). Just find your blog for first time! (looking for Pryaniki recipes). 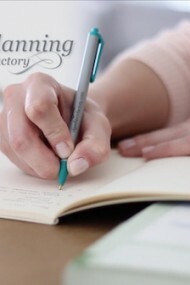 Love these tips, and love the firsts glimpses of the blog! I find it very inspiring! Hope to continue reading! 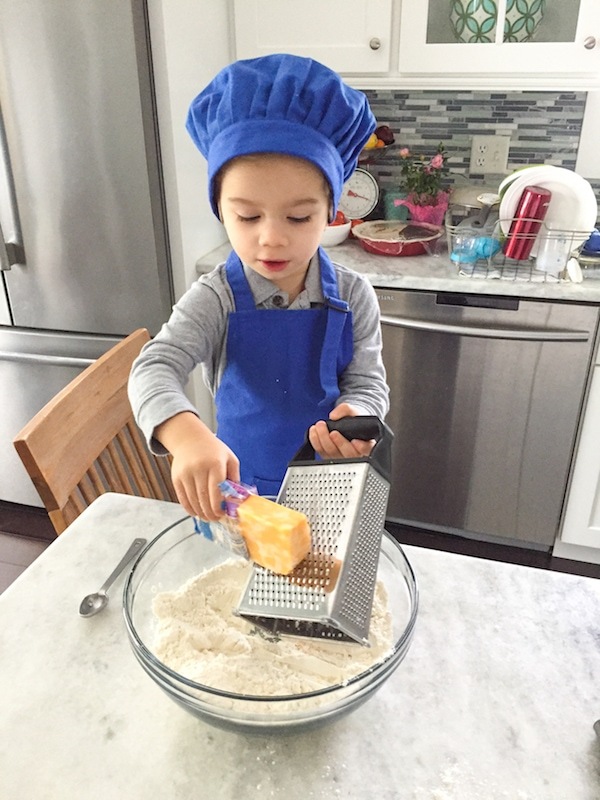 Great post, I think cooking can help to lay down basic math, reading and time-telling skills, encouraging healthy food choices, building confidence and creativity, enhancing communication and deepening connections with your child. 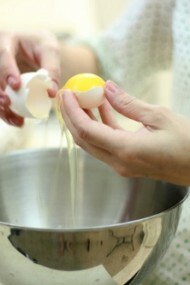 Cooking also teaches kids various safety lessons such as not to touch a hot stove or how to use a knife correctly. Oh! I always love to cook & I want to see my kids in the kitchen as well. This is something great I can tell you. Thanks a lot for your brilliant article. Wow!! 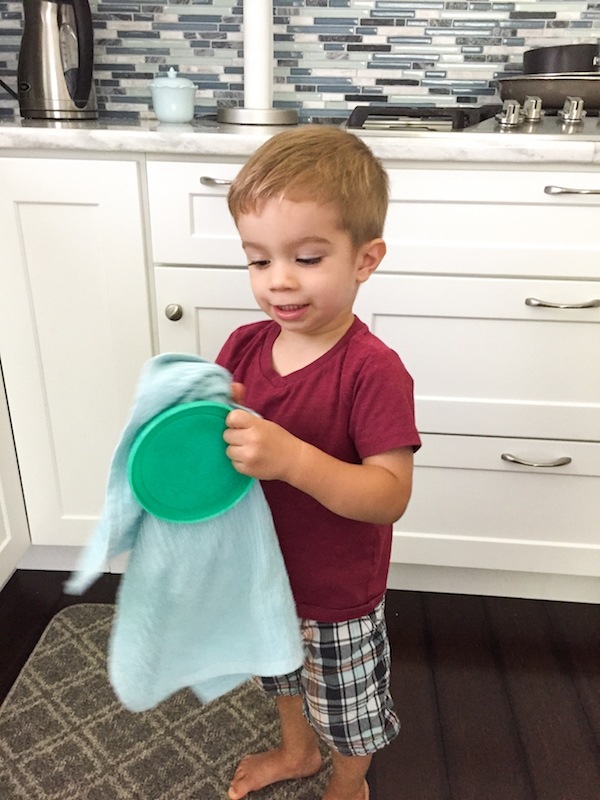 Great tips it’s been always a good outfit to the kids in the kitchen. Just brilliant & lovely. Thanks for sharing.